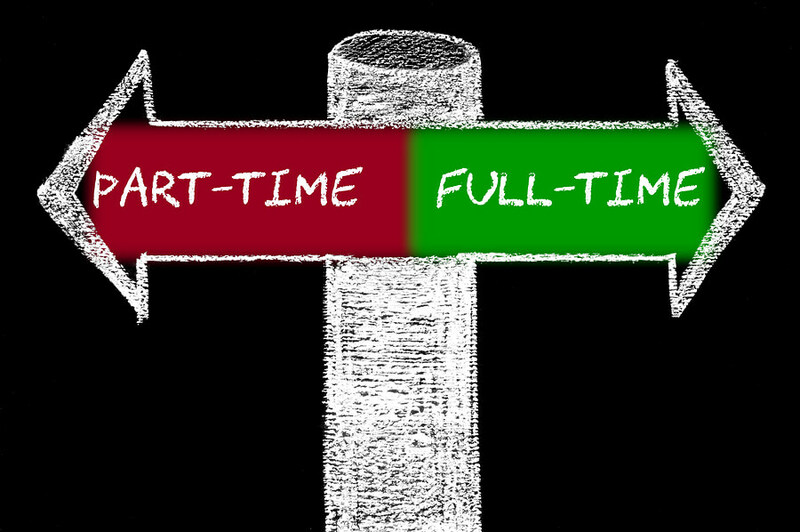 Little guidance is offered on how to redesign a full-time role into a part-time role. As part of her research at the Queensland University of Technology, Natalie Smith interviewed 24 individuals who had requested to move into part-time positions. Smith found that there are a number of ways to smooth the transition from full- to part-time work, including: reducing the number of people an employee interacts with (such as by use of shared systems rather than one single point of expertise); reducing implicit work (such as travel and meetings); and minimizing unpredictable and urgent tasks. Read more: More of us could work in part-time roles if they were better designed. A recent study by Deloitte revealed that 64% of Millennials have access to flexible work arrangements, and many in the Gen Z generation will not even consider an employer that doesn’t offer flexible work options. Workplace flexibility is the way to win the war for talent and is quickly becoming the new norm, so much so that companies are now offering “work from work” days that encourage employees to come into the office to connect with co-workers and to collaborate on projects. The University of Kent’s School of Social Policy, Sociology, and Social Research recently conducted a study on flexibility and the workplace and new mothers. Led by Heejung Chung, the study revealed that a flexible workplace is the single most important factor to prevent women from leaving the workforce after having their first child. The study found that women who used their flextime were half as likely to cut back on their hours after having a child. Read more about the study: Workplace Flexibility Key to Helping Women Maintain Careers After Childbirth. With companies such as IBM retracting its flexible work arrangements but brands such as Adobe being praised for initiating new flexible work options, it can be confusing to know where flexible work stands in our modern workplace. Henry Albrecht, CEO of Limeade, believes it comes down to trust. Whether employees are working from home, at their desk, or somewhere in between, if companies are operating on a culture of trust, those will be the companies to succeed. Read more: The paradox of work flexibility. While many professionals benefit from flexible work there are many studies that suggest that flexible work is actually making our lives more rigid. Flexible work and the integration of technology in the workplace can sometimes blue the line between work and personal lives, such as working on vacation, working during family time, work more during a commute, and working when we are sick. Seven ways in which flexible working is making our lives more rigid describes these factors in detail and explains why flexible work, particularly “zero hours” contracts, may not actually be as flexible as they seem. The Wall Street Journal recently published an article revealing the attempts of employers to increase the number of contract employees to eventually phase out all non-essential roles. The article stated that in ten years, one of the world’s largest companies will have no full-time employees outside of the C-Suite, and others plan to outsource every job that is not “customer-facing.” This poses the question of if there are no employees, what will the future of the office look like? The End of the Office as we Know It (Apologies to REM) discusses possible outcomes.